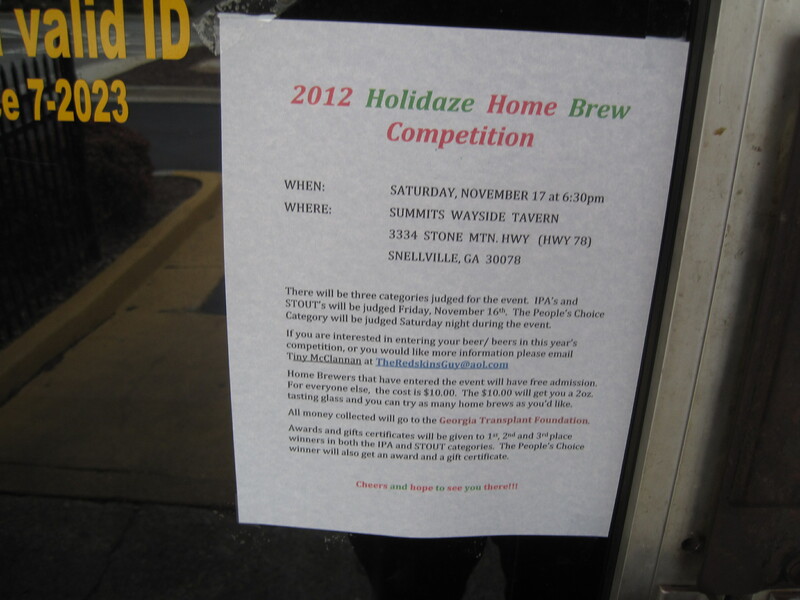 Competition this Saturday, Nov the 17th. If you’re not a home brewer, show up and pony up 10.00. You’ll get a 2 oz glass and you can try as many brews as you like. 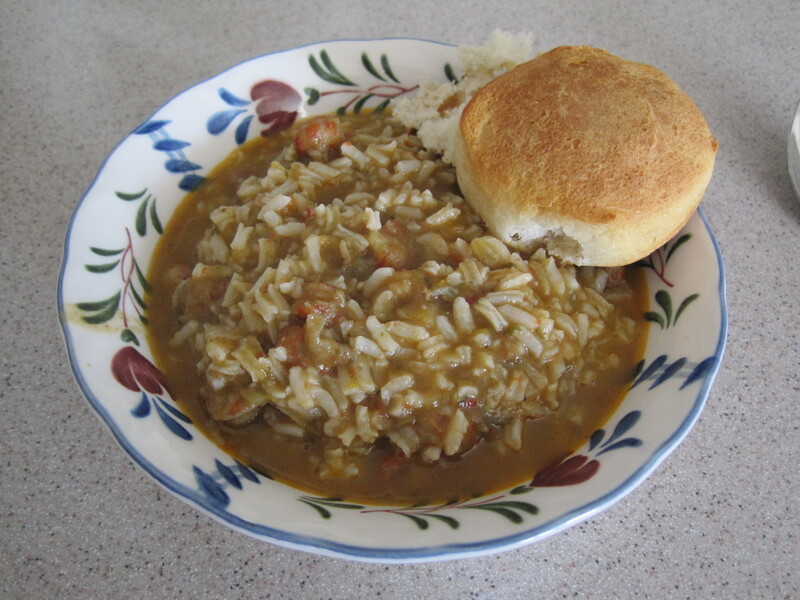 One of the nicer things about the holidays is all the home made food, such as this good gumbo, from my father’s current partner. 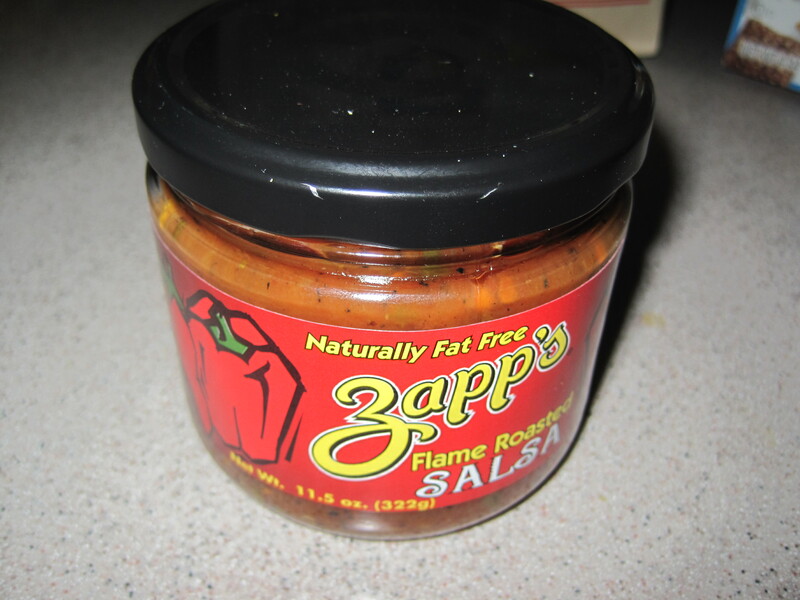 And Zapps, which I’ve known for their Cajun potato chips, now has a salsa. Barking Rocks winery, which is owned by relatives of mine, had a nice article written about them via the Texan News Service. The article, written by Morgan Christensen, can be found here. Another interesting link, a tasting of Barking Rocks wines, can be found here. But perhaps more pleasing is this reaction, on the blog Jundogirl, to the article I wrote about Royal Tofu House. Royal Tofu is a mom and pop eatery whose owners really go the extra mile for their customers. Jundogirl happened to be their daughter. Also, many thanks to Gene Lee for mentioning Mirak Korean Restaurant. In my opinion, Mirak has been a little overlooked in the blogging world and I’m glad to see it catch up in the hands of Korean food experts. I got some books on beer this Christmas, and perhaps the best of them is “The Brewmaster’s Table“, by Garrett Oliver. Garrett Oliver is the owner/brewmaster of Brooklyn Brewery, and this book attempts to educate people about the possibilities of good beer and how to match beer with food. Useful as a coffeetable book (though it’s small and fat) is Michael Jackson’s book “Michael Jackson’s Great Beer Guide“. It has picture and short blurbs about a host of beers. The books is alphabetized and an easy read. My brother found this book and went into “Hey, I drank this one!” mode for hours on end during the holidays. Last Sunday, August 2, We went to Frontera in Snellville and they featured a mariachi band. The band, we were told, shows up every other Sunday at the Snellville Frontera. That makes their next visit into town about August 16, 2009. Their trumpet player is quite good. I played that instrument at one time, and you don’t do what he did without plenty of practice and endurance. They go to 12 other Frontera restaurants I’m told, which seems an awfully busy schedule. Frontera also has some new foods, such as this catfish ceviche. They also have old favorites, such as their burrito al carbon. Some of these places I’ve eaten at and need to try again to nail down an opinion on. Others I’ve not tried yet. 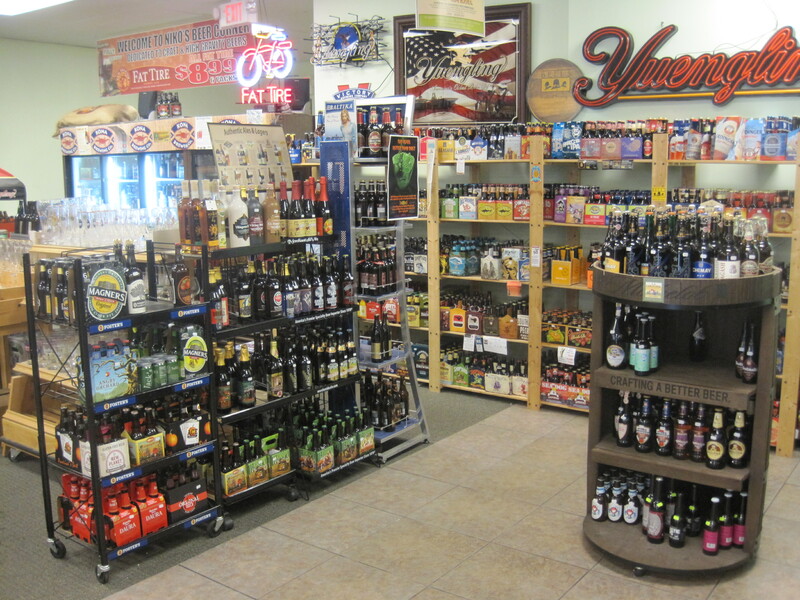 Some views from inside Total Wine, which we have spoken about before. And of course, one photo of Guam boonie peppers. Even the runt boonie is adding leaves these days.